The perfect collision of roller derby & Local Brews! The Mashville Challenge is a one-day must-see event held on Saturday, June 8, 2019 at the U.S. Cellular Center. For one full day, roller derby and brewery competitions will be showcased in the same venue. From noon until 6:00pm, fans will imbibe 5 limited-release drinks, specially brewed and named for this awesome day by 5 breweries: One World Brewing, Hi-Wire Brewing, Urban Orchard Cider, Hillman Beer and Bhramari Brewing. And from noon until 8:00pm, four roller derby games will be played consecutively on the same floor! Fans will vote for their favorite brew on-site, earning that drink the "Blue Ridge Ribbon" and title of Blue Ridge Roller Derby's 2019 Beverage of the Year. Regional roller derby teams will be playing including Asheville's own Blue Ridge Roller Derby and MAD Divas, Bryson City's Smoky Mountain Roller Girls, and Boone's Appalachian Roller Derby. Participating fans will purchase a $25 brewery punch card (the punch card covers the five competing breweries' 12oz pours) and will have until 6:15pm to vote for their favorite drink. The winning drink will be announced at halftime of the Allstars' game around 6:30! There is no limit to brewery punch card purchases, and a portion of each brewery punch card purchase goes to Blue Ridge Roller Derby! Vendors & Entertainers will be announced soon! This is your only chance to see roller derby in Asheville for 2019! Four roller derby games will be played from 12-8pm while fans enjoy the special brews. Game schedule will be announced soon! Founded in June of 2006, Blue Ridge Roller Derby make up Asheville, NC’s first flat track roller derby league. The league’s mission is to actively create, promote, and sustain an environment that fosters strength, courage, vitality, and empowerment in the roller derby sport. Two of the four games will feature Blue Ridge Roller Derby with the French Broads and All-Stars skating on their home turf once more! Mad Divas Junior Derby is an all female, flat-track, full contact roller derby league specifically for girls between the ages of 11 and 17. We are official members of JRDA, the Junior Roller Derby Association. Junior Roller Derby is a place where young girls learn team work, good values, discipline, interaction, and stewardship through the competitive sport of Flat Track Roller Derby! APPALACHIAN ROLLER DERBY is an 18+ all-female skater-run flat track roller derby league based in Boone, North Carolina. We are a 501c3 Non Profit and our mission is to encourage female athleticism, empowerment, and community awareness through various activities and events throughout the year. Smoky Mountain Roller Girls is a 18+ competitive amateur women’s athletic roller derby league based in Bryson City, North Carolina. The team promotes fun, fitness and above all camaraderie among members. Skaters are from Swain, Jackson, Macon, Haywood, Graham counties and beyond. SMRG provides support for its juniors team, Lil’ Nemesisters. Both teams give back to their community, partnering with a local charity organization for each home bout and participating in various community events. Pikes Peak Derby Dames' mission is to foster athleticism, personal empowerment, and community relationships through playing and promoting the fast-paced, hard-hitting, competitive sport of women's flat track roller derby. Pikes Peak Derby Dames provides an equal opportunity for athletes of all skill levels and abilities to succeed by discovering strengths, overcoming weaknesses, and challenging themselves, both on and off the track. One World is an idea of acceptance, respect, and connection. It’s a philosophy of community involvement, environmental protection and social equality that ties us all together. One World means family. It means culture, good vibes, and love, and we strive to put this intention into every craft beer that we brew. Our two locations are gathering places where we come together to share experiences and share our gifts! We place importance in supporting each other and our creativity and celebrating life through our work and play. We collaborate, and partner with one another, as well as host monthly benefits, so that we can all grow and prosper together. We just really enjoy doing this over a great beer or two and we hope that you can join us on this journey. Swing on by and sip some finely crafted brews with us soon. Hillman Beer is a small, family-owned business located in Asheville, NC. Brothers Brad and Greig Hillman, and Greig's wife Brandi Hillman, have come together to bring the pub style back to the brewery experience. With an emphasis on quality beer and a focus on classics and comfort, we hope that our beer and pub atmosphere keep you coming back to Hillman Beer. We are dedicated to producing the highest quality craft ciders that we would feel good about drinking ourselves, and often do. Forget the days of overly sweet ciders, full of artificial sweeteners. We let fresh-pressed apple juice do the subtle sweetening for us. Aging/maturation and a variety of yeast strains are competitive advantages for us and we have found that the extra work delivers us with a superior product in the end. 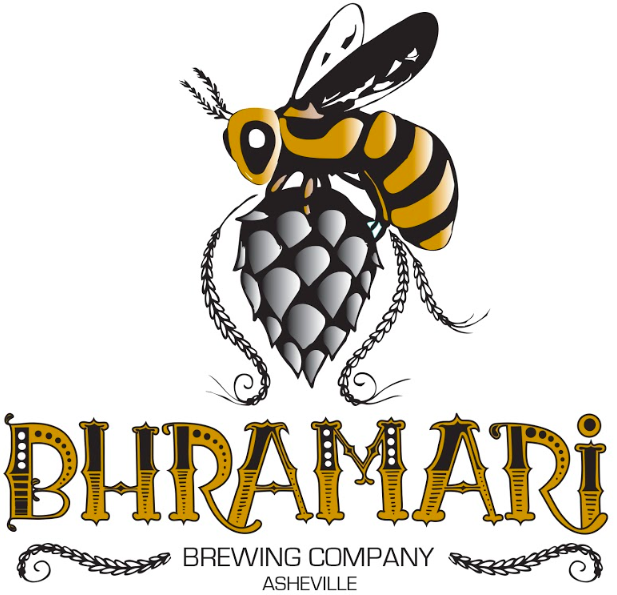 Perfectly located at the Gateway to the acclaimed South Slope District of Asheville Breweries Bhramari Brewing Company is passionate about layering flavors and finding the right balance of ingredients--many of them local--to elevate the tasting experience to a whole other level. With a brewer who leans heavily into his experience as a chef, our creative combinations are pushing the envelope of craft beer on a daily basis.